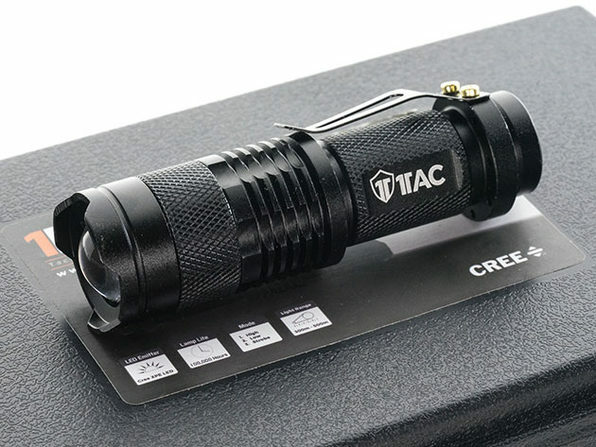 Ensure you're covered in the event of an emergency with the TC1200 Tactical Kit. 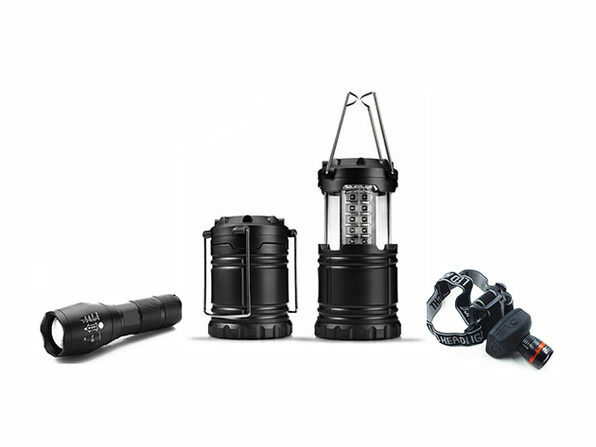 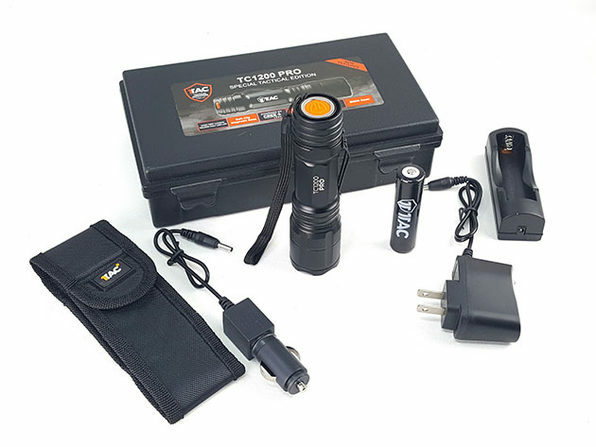 This kit comes complete with a 10 Watt, high-powered flashlight that utilizes Cree LED XM-L2 LED technology that generates 20 percent more max output than standard XML T6 lights. 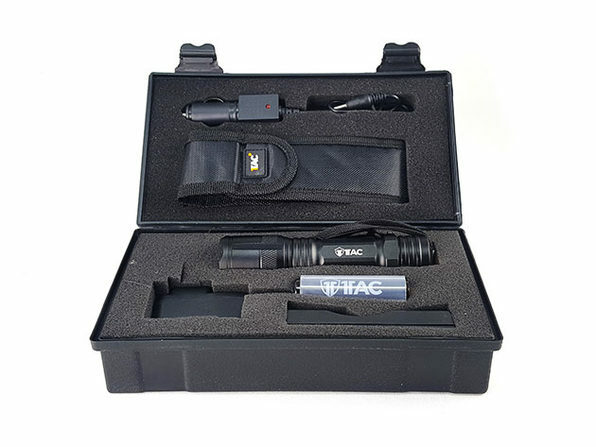 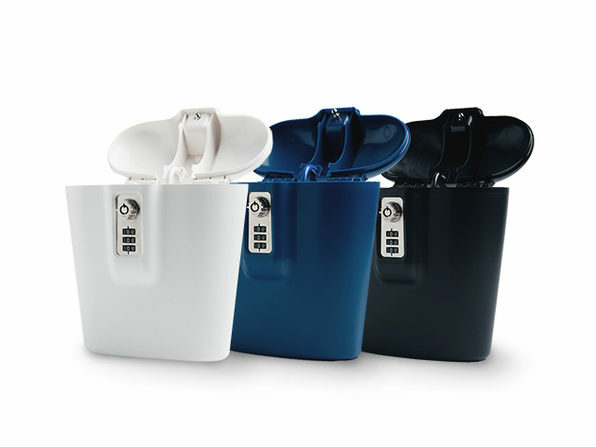 Plus, it's loaded with a portable rechargeable battery, a battery wall charging station, a car charging adapter, an AAA battery holder, a light holster, a lanyard, and a high-grade protective case. 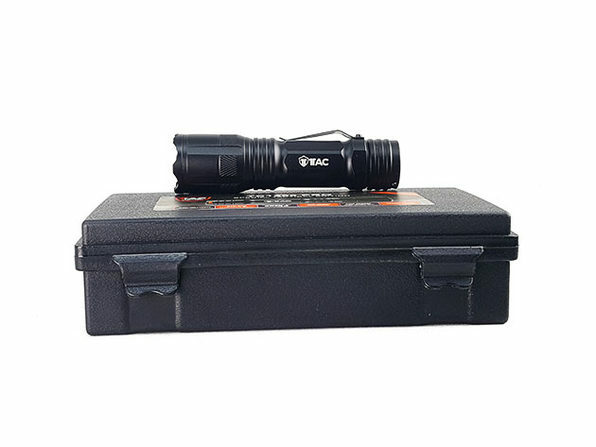 Charger base size: 4.1" x 1.8" x 1.7"